Radisson Hospitality AB, publicly listed on Nasdaq Stockholm, Sweden and part of the Radisson Hotel Group, announced the signing of the Radisson Hotel & Suites, Gdańsk in Poland. 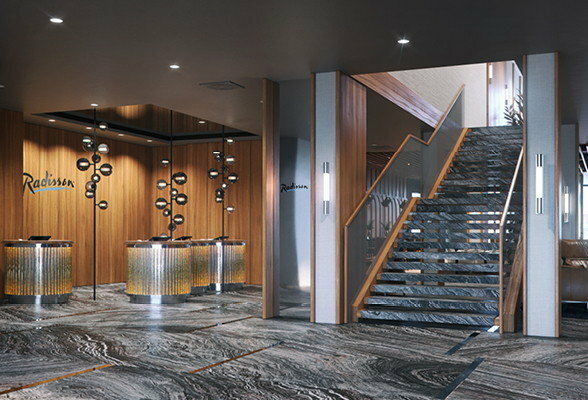 In March 2018, the group announced its plan to rollout Radisson, the upscale hotel brand, across EMEA – and this is the first hotel to open in Central & Eastern Europe (CEE). The new Radisson will bring the group's portfolio to 16 hotels (3,500+ rooms) in operation or under development in Poland. Gdańsk is an important industrial and economic center on the Baltic Coast in the north of Poland, and a vital part of the Tri-City metropolitan area – a region that generates a significant portion of the nation's GDP and has seen a major rise in tourist arrivals in recent years. It's also one of the most rapidly developing urban and business centers in the country, with a fast-growing MICE sector making the city a key location for business travelers. Elie Younes, Executive Vice President & Chief Development Officer, Radisson Hotel Group, said: "We're immensely pleased to sign the first Radisson hotel in a CEE country, and our second property in the remarkable city of Gdańsk. This hotel benefits from a unique location and will become a social anchor in the city. We're thankful to the Nowak group for their trust in Radisson Hotel Group, and we welcome them to our family." Zbigniew Nowak, a Polish entrepreneur based in Gdańsk, and founder and owner of Deo Plaza, said: "We believe that our collaboration with such an experienced operator like Radisson Hotel Group will provide international reach and world-class services for the hotel and its meetings and event facilities. Added to the location's huge potential, we're confident that the hotel will be attracting conference visitors from around the world." Located on the historic Granary Island in Gdańsk, the Radisson Hotel & Suites will enjoy a prime location in the city – 'just a bridge' away from the historic center and many other tourist attractions. Dlugi Targ, the main shopping and restaurant district in the city, is also only 100m away. The main train station is 1.5km from the hotel (providing connections to Warsaw and Krakow), while Gdańsk International Airport is 17km from the hotel.